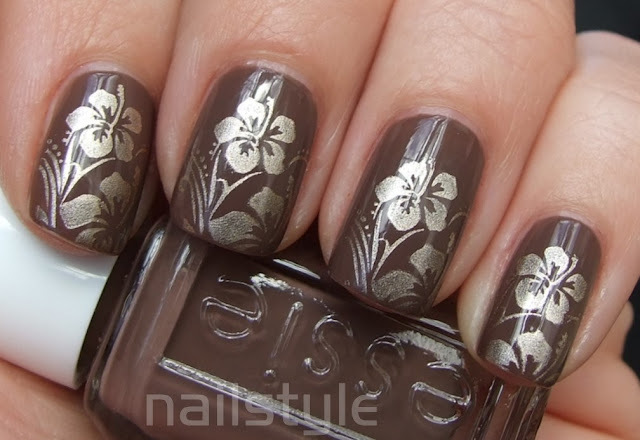 Nailstyle: Essie Hot Coco with new Bundle Monster stamping! 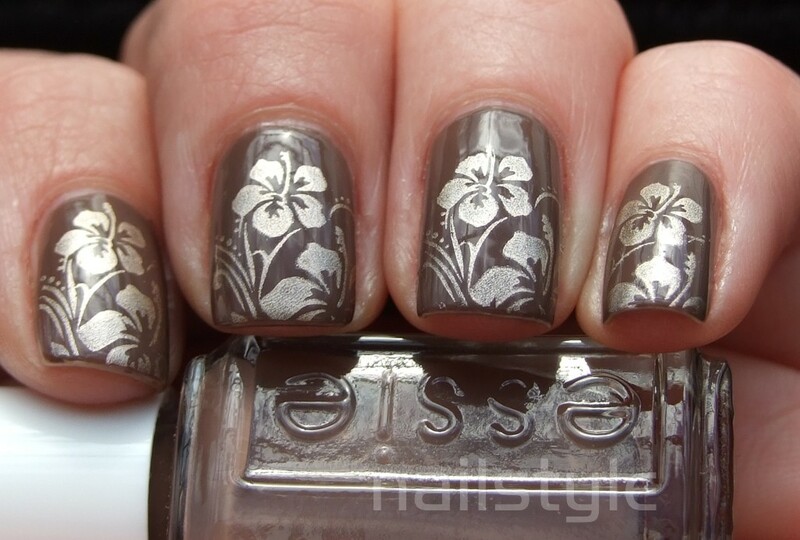 Essie Hot Coco with new Bundle Monster stamping! Yay - I've finally got the chance to play with my new Bundle Monster plates! 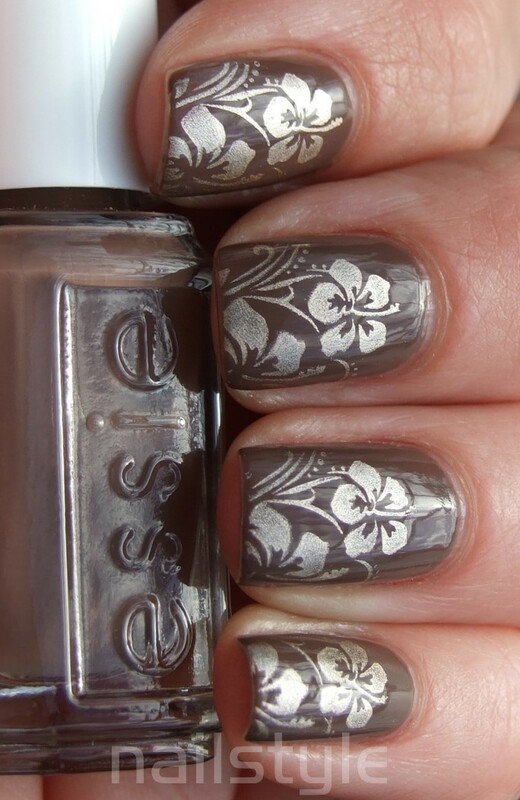 This is Essie Hot Coco which I got as a mini polish. It's a lovely warm taupe that is very easy to apply and dries quickly. I love these mid browns as they go with just about everything and I don't feel the need to limit what I'm wearing. lol Yeah I know what you mean! I like how you off-set the stamp...so creative, and the effect is amazing. Thanks for sharing! You did an amazing job with the stamping! Beautiful! I'm sorry I haven't commented-it says you have malware from that mess a few weeks back-something about KK something or other and I lost your email! So please don't hate me and check into this! 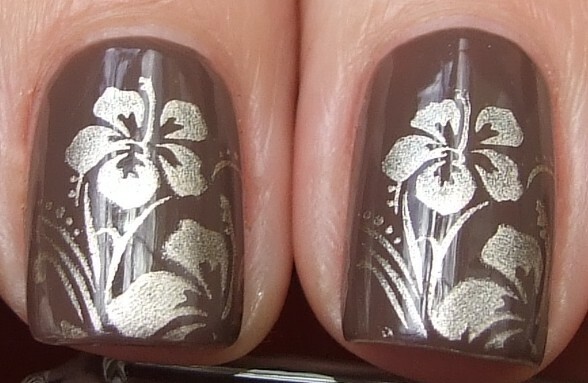 I am loving this coco polish-I'm sure you knew that. 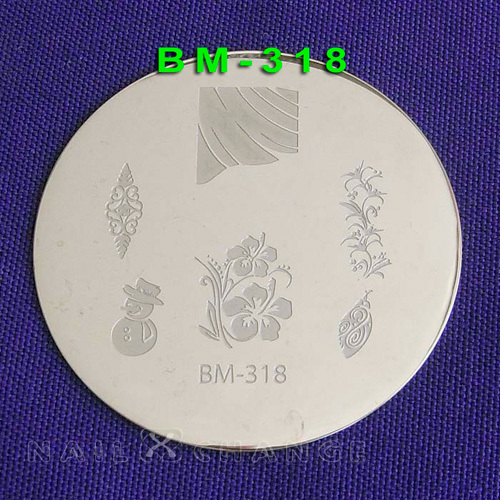 And you're stamping is awesome!! Don't you love these plates???????? Oh really? I have malware?? Yikes what do I do about that??? I always love your comments and yes I'm loving the new plates! Great stamping! Had so many misses on my first attempt that I've yet to try it again!